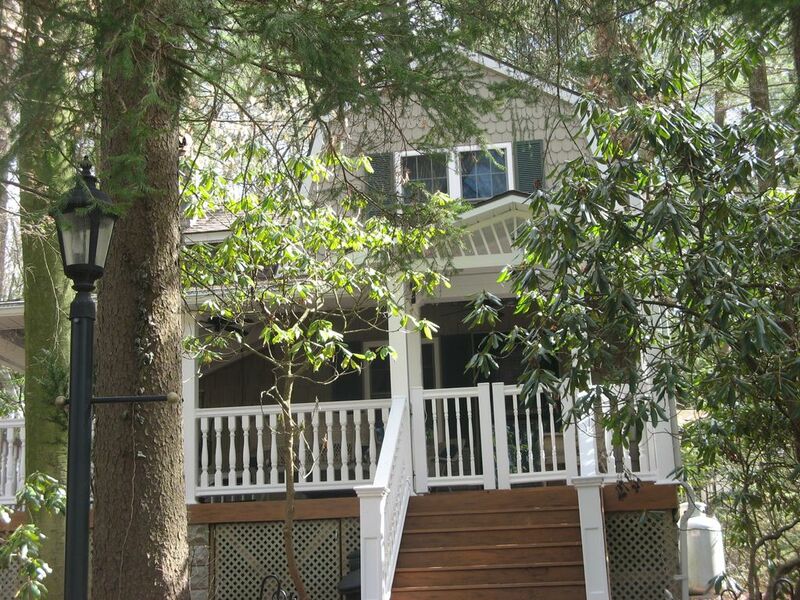 Come and enjoy this beautiful year round cottage that is centrally located to everything in Mt Gretna. Just a few steps from the Jigger Shop, Playhouse and Historical Society. This 3 bedroom 2 full bath cottage has a great porch to relax on after spending the day at the lake. It has central air for those warm evenings and a cozy gas fireplace to warm you during the cool evenings. This cottage has been recently upgraded and has modern baths, a fully equipped kitchen, WIFI, laundry, and off street parking. This is a very comfortable cottage that is within walking distance to everything. You are only steps away from enjoying a delicious ice cream sunday from the famous Jigger Shop Ice Cream Parlor. Away from it all but at the same time not. Lots of room, quiet, but also busy with activities in the Summer time. Enjoyed it!